A cloud ERP reseller with a small market cap and good forecast growth despite a declining business division masking the ERP division’s performance. JCS sells Cloud and Enterprise Resource Planning (ERP) solutions from NetSuite and MYOB as well as their Telecom Expense Management solutions (TEMS), the former of which has been growing well while the latter has been declining. Overall 7.2% revenue growth FY17 over FY16 (+36% from ERP, -28% from TEMS), +365% growth in normalised EBITDA and NPAT turned positive. Guidance growth for FY18 of 22-35% revenue, 67-100% EBITDA, 50-83% NPBT (see below). 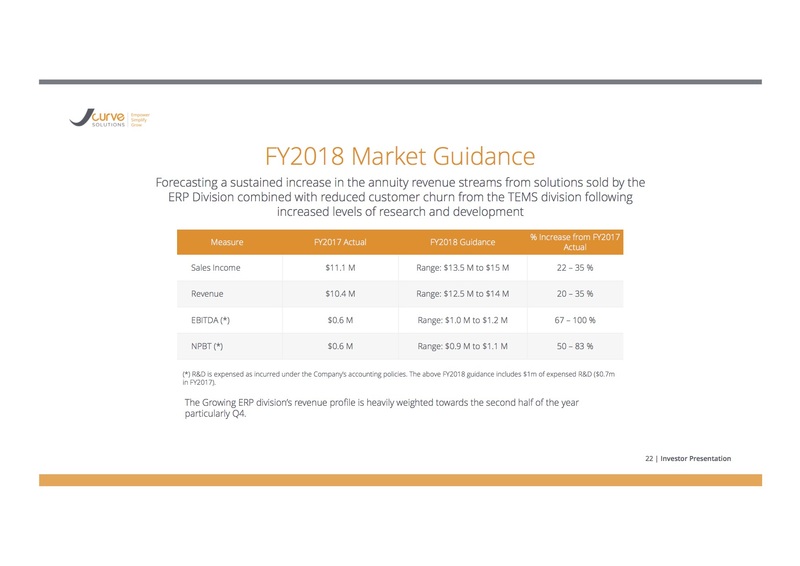 Note the overall growth in guidance despite a $1m R&D expense for TEMS. TEMS dropped from ~45% of revenue in 2016 to ~30% of revenue in 2017 and the proportion should continue to decline. 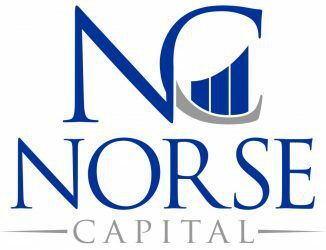 Clean balance sheet with $2.2m in deferred revenue to flow through and $3.5m net cash at 30-Jun-17. Heavily second half (and more so 4th quarter) seasonally weighted so the market has to wait for performance relative to guidance, especially with the significant investment in ERP sales and marketing. At 4.2c and a fully diluted (although performance rights don’t kick in until >5c in 2019) market cap of ~$15m, EV of ~$11.6m and EV/EBITDA of ~10.5 (using midpoint of FY18 guidance) for a software reseller, perhaps a hold above 4c until numbers or renewed guidance provide confirmation but seems to be on a nice trajectory.